About 7 years ago, I'd received a gift of a bottle of large producer champagne -- this was before I knew better -- before I worked at Chambers Street Wines -- before I drank the Kool-Aid and came to my senses. 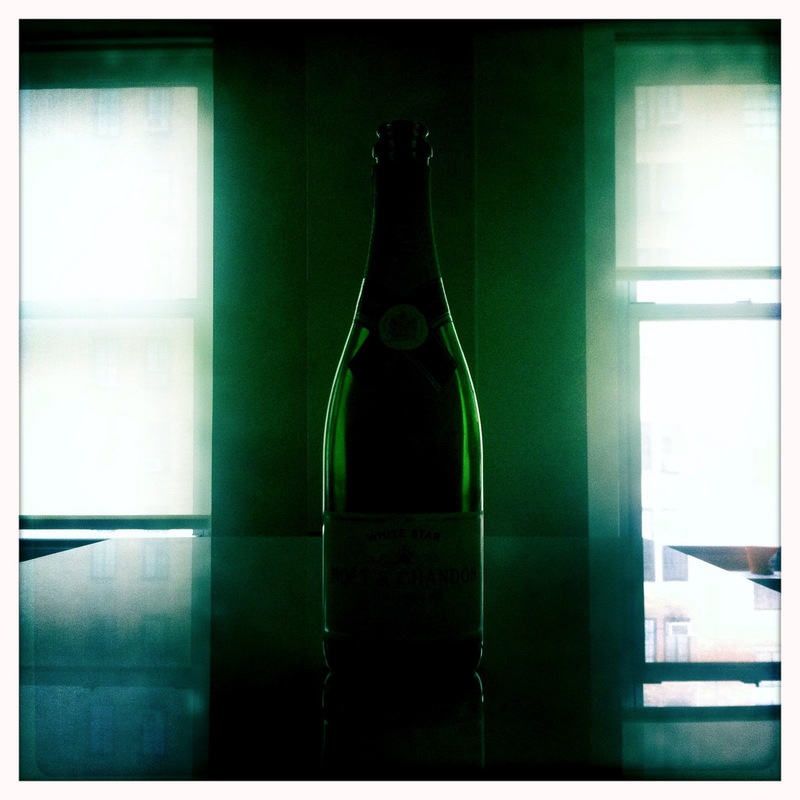 Champagne was champagne and I could love it for celebrations, for births, deaths, and marriages. This bottle sat around waiting for a celebration and then just sat around. Then, this week, I got champagne and fried chicken into my head. The idea was stuck there. So Japanese chicken wings and chicken katsu were ordered from Tebaya (on West 19th Street) and my "lost" bottle of champagne had its chance to shine. It didn't. It started out fine enough and the pepper and soy sauce from the chicken wings were a nice foil. Deep down, I'd hoped the age would have helped it. Even deeper down, I knew it wouldn't. As we drank through the bottle, the sugar came on stronger and it became less and less drinkable. A gentle reminder to myself -- don't drink mass produced champagne. Incidentally - the chicken wasn't that great from Tebaya either. I guess it was just one of those nights. 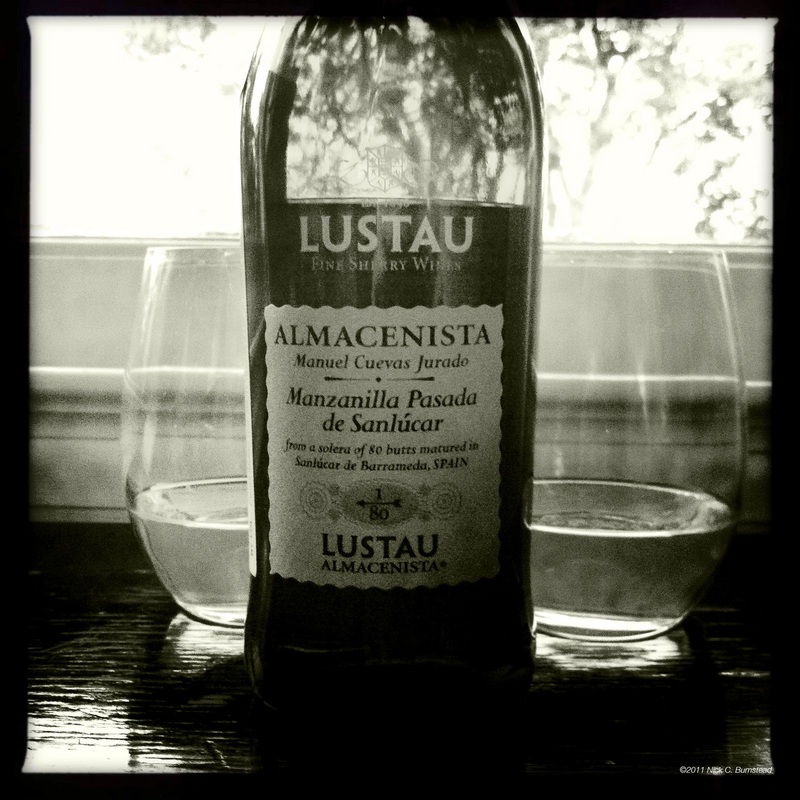 Dry, rich, fruity, salty -- a cracking good sherry.